One Syrian side is beginning to die. It is President Bashar al-Assad’s embattled regime, which has bombed Syria to smithereens. Yesterday, the regime lost al-Taaneh missile defense base east of Aleppo in northern Syria that had been the source of regular attacks on surrounding villages. Insurgents surrounded the base overnight and fought with soldiers for hours. They overran the base around dawn, killing dozens of troops and rounding up others. 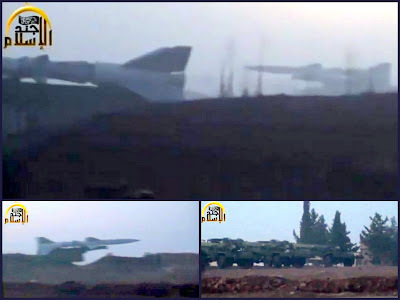 Video recorded shortly after the battle shows multiple missiles pointing in various directions, some on the back of trucks, and a radar tower. Opposition activists said they were S-75 surface-to-air missiles. Rebels took weapons, including antiaircraft machine guns, rocket-propelled grenades and armored vehicles before retreating to the outskirts of the base. 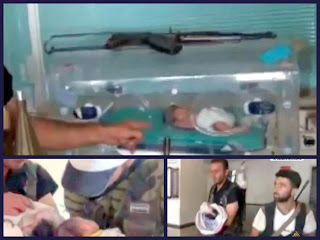 Insurgents against the regime are fighting to live. The Syrian city of Maarat al-Nouman, a strategic link between Damascus and the cities of Homs, Aleppo, Latakia and Tartus, is the latest flashpoint in the conflict. After members of the Free Syrian Army (FSA) gained control of the city last Tuesday, following a two-day battle, the Syrian army bombarded the city of 150,000 Wednesday.Heavy clashes between government troops and the FSA at checkpoints just outside Maarat al-Nouman continued Thursday morning. Syrian forces fired long-range heavy artillery at targets in Maarat al-Nouman early Thursday, hitting the city’s National Hospital. 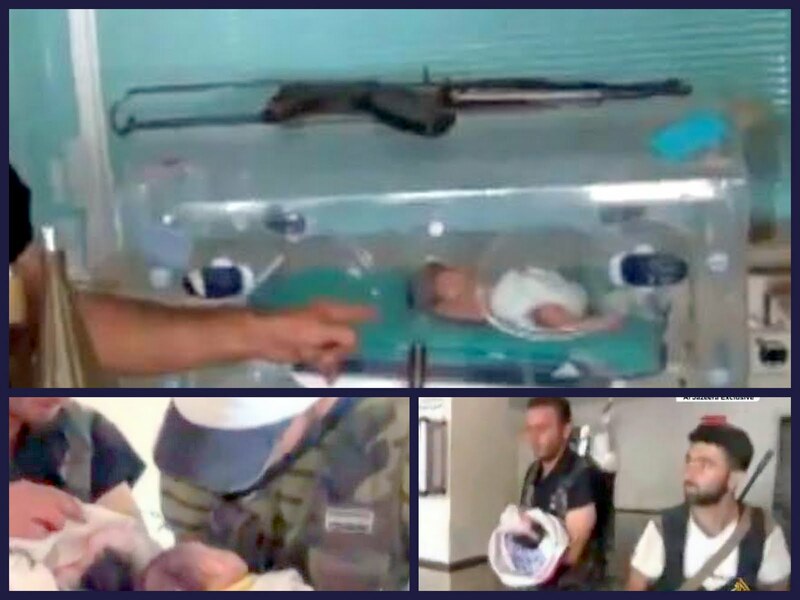 FSA fighters made their way into the hospital and moved out under fire a total of 15 preterm infants from incubators. Video shows the infants being wrapped, hand-carried and tiptoed out by the insurgents to a safer makeshift field hospital through a back exit hole to avoid sniper fire. 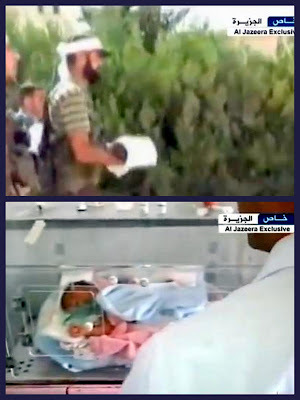 Talking to Aljazeera TV off camera, the makeshift field hospital’s Dr. Hani Maarouf, said one of the five preterm infants who were kept there died and the four others are now in stable condition.